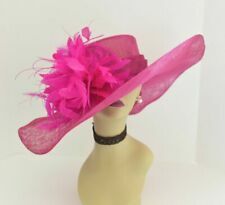 M58 NEW Kentucky Derby, Church, Wedding, Tea party, Royal Ascot & Feather Flower Sinamay Wide Brim Dress Hat. 100% Sinamay, very light and comfortable. More color: Pink; Fuschia; Black; White; Navy; Royal Blue; Red; Ivory; Black/White; Purple; Yellow; Taupe; Teal/Peach; Peach;. M58 NEW Kentucky Derby, Church, Wedding, Tea party, Royal Ascot & Feather Flower Sinamay Wide Brim Dress Hat. 100% Sinamay, very light and comfortable. Great for Kentucky Derby, Church, Wedding, Tea Party or other special event. It has a little mark on the horse shoe (see pic). Black Felt with Faux Pink Alligator on brim. Size 6 7/8. Color: Khaki. When Kids Can Wear This Straw Sun Hat - Do your kids like beach activities?. This cute straw hat brightly colored, beautiful design; with three large flower lace hat so cute and gorgeous. Item Type: Women's Skullies & Beanies Material: Polyester; Pattern Type: Solid; Style: Fashion Crafted from high quality polyester, soft and smooth to wear. Special pleated design, chic and trendy. A great accessory to keep you cool and stylish. Color:light blue Hat Circumference: Approx. 56-58cm / 22.1-22.8in Hat Height: Approx. 15cm / 5.9in Weight: Approx. 35g / 1. Vintage Unisex Blower Wool Felt Fedora Trilby Derby Jazz Cap Hat (black) Hat height: 13cm/5.12" Hat Dia. : 17cm/6.69" Package Include: 1 x Jazz Hat Note: Light shooting and different displays may cause the color of the item in the picture a little different from the real thing. The measurement allowed error is /- 1-3cm. Brand Unbranded MPN Does not apply UPC 191466044056 EAN 191466044056 ISBN 191466044056. SIZE:US 6 7/8 ;UK6 3/4 ;EU 55. Material: straw. High Quality Natural Paper Straw Woven. Tightly woven for the quality and durability; Breathable and still keep you cool in the sun; Shade your face and the back of your neck, Bring you unprecedented feelings and beauty. Material: straw. 2X(100% new and good quality. Note:Light shooting and different displays may cause the color of the item in the picture a little different from the real thing. ). Suitable for: Hiking,Camping,Hunting,Traveling,Fishing,Outdoor sports,etc. 1X(Features Head Circumference:58-63cm. ). Yestadt Millinery - hand woven straw hat with 2 natural-tone colors, and a blue/gray leather band and bow. In excellent condition. No sign of wear. Height: 4-1/2". 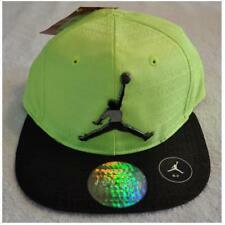 Hat Size: 6-7/8" (Small). Failsworth "Superior By Tradition, Special By Design. Stornoway 5090. Harris Tweed. Size 6 7/8 - 56 CM.